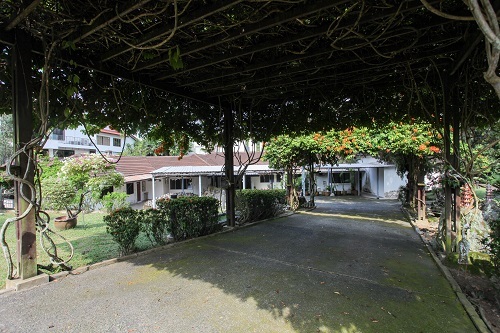 A sprawling bungalow at 2F Gerald Crescent belonging to Chung Khin Chun, 90, the victim in a highly publicised financial abuse court case three years ago, was launched for sale on Feb 22. 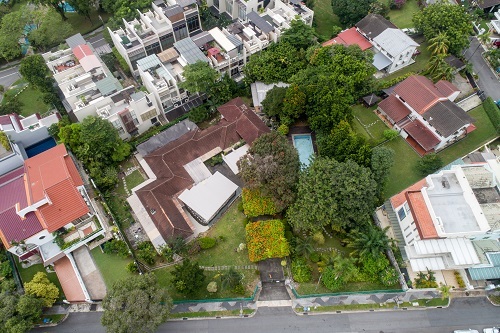 The asking price of the 999-year leasehold property, which occupies a 31,882 sq ft site, is upwards of $1,100 psf, or from $35 million, according to sole marketing agent Savills Singapore. The vendor is Hedy Mok, Chung’s niece and the appointed deputy public trustee for the administration of her estate. The property, located in Seletar Hills Estate, was developed by Bukit Sembawang Estates. When Chung and her husband, the late Dr Chou Sip King, purchased the house in 1961, it sat on a sprawling 71,000 sq ft site. The price then was $40,000. Today, the piece of land would have been worth $157 million when adjusted for inflation, according to an online inflation calculator by the Monetary Authority of Singapore. The property has a 999-year lease starting from 1879. When Chou was alive, the garden alone accounted for more than half the site, or 39,000 sq ft. The garden had durian and rambutan trees, a lily pond and rock paths, and was adorned by sculptures made by Chou. As the couple had no children, the garden became the playground for their eight dogs.